full of energy, excitement, and cheerfulness. 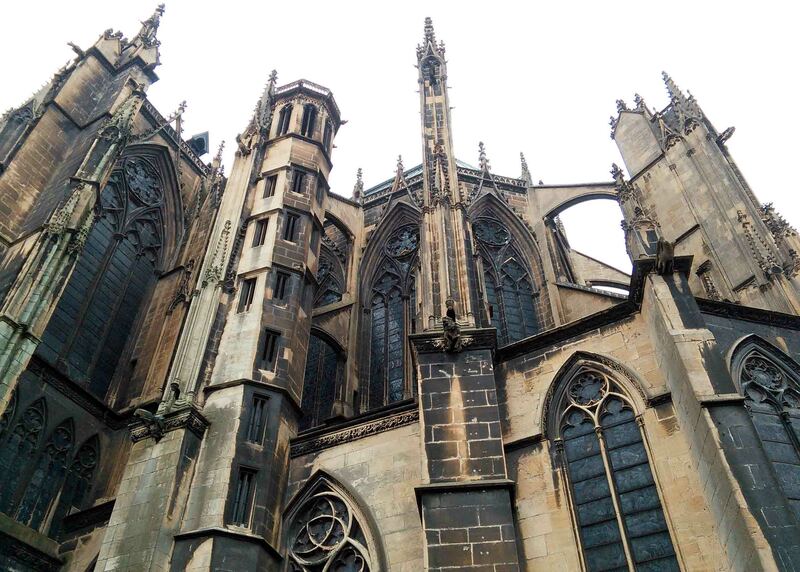 Can a place of burial ever be full of energy and excitement? I think the answer is yes, but only if it’s in Buenos Aires. 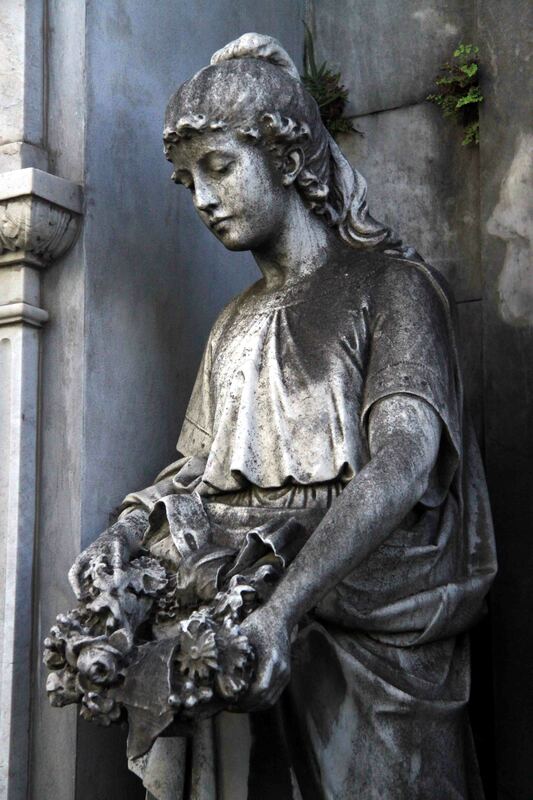 Cemeteries tell you a lot about a city. The Glasgow Necropolis, standing high and proud on a hill, is testament to the sheer confidence and economic clout of Scotland’s biggest city in the Victorian age, when it was the second city of the British Empire and the world capital of shipbuilding. The Art Deco gravestones at Vyšehrad in Prague tell you all you need to know about the optimism and sophistication of interwar Czechoslovakia. 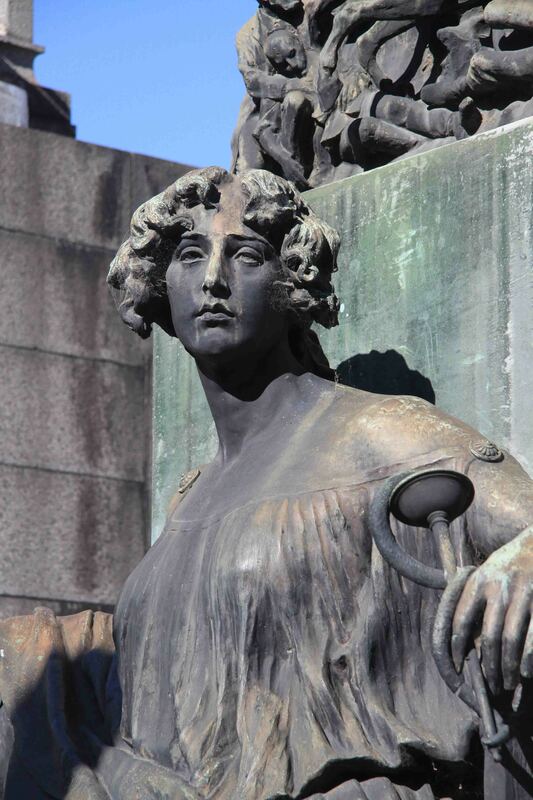 Père Lachaise’s roll call of artistic greats – among them Sarah Bernhardt and Colette, Jim Morrison and Oscar Wilde – speaks eloquently of how Paris was once the world capital of intellectual and creative endeavour. 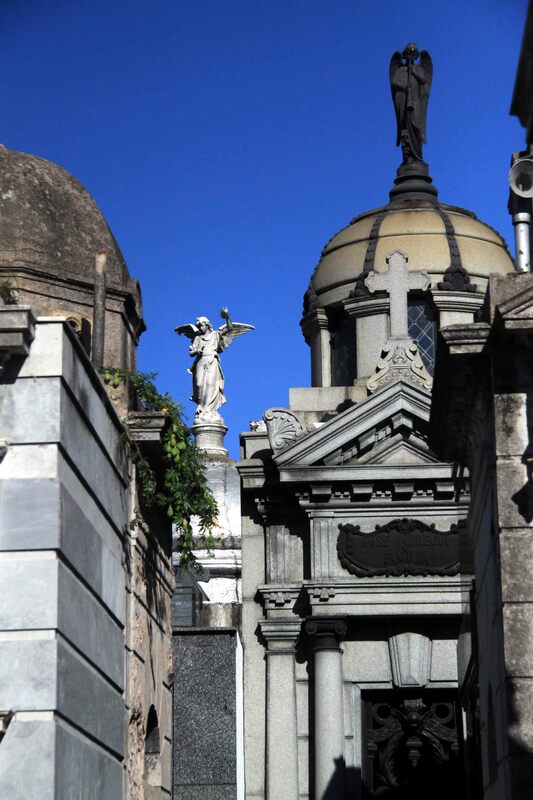 But for sheer architectural swagger, none of these can touch the Recoleta cemetery in Argentina’s capital. 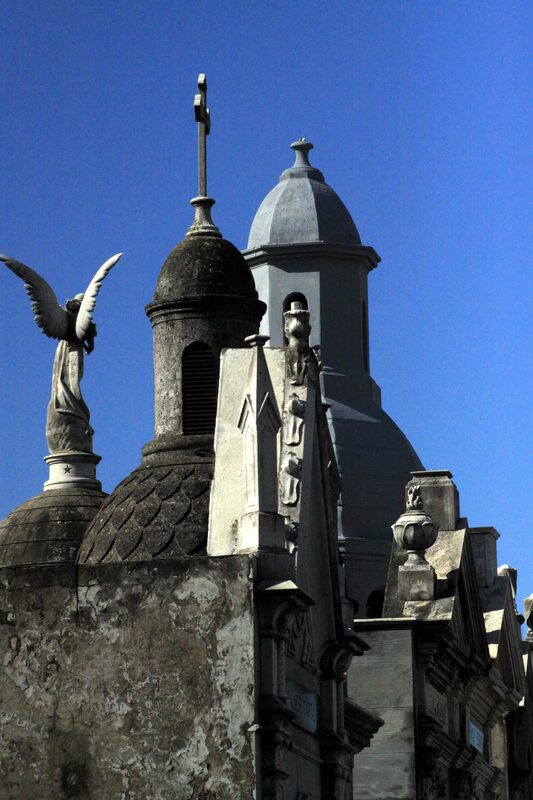 Laid out in the garden of a defunct convent in the early nineteenth century, Recoleta is strikingly urban; though it is in Buenos Aires’ most elegant neighbourhood this is no leafy garden of repose, but rather a compact précis of the city’s architectural ambition. That ambition was grounded in firm economic foundations. 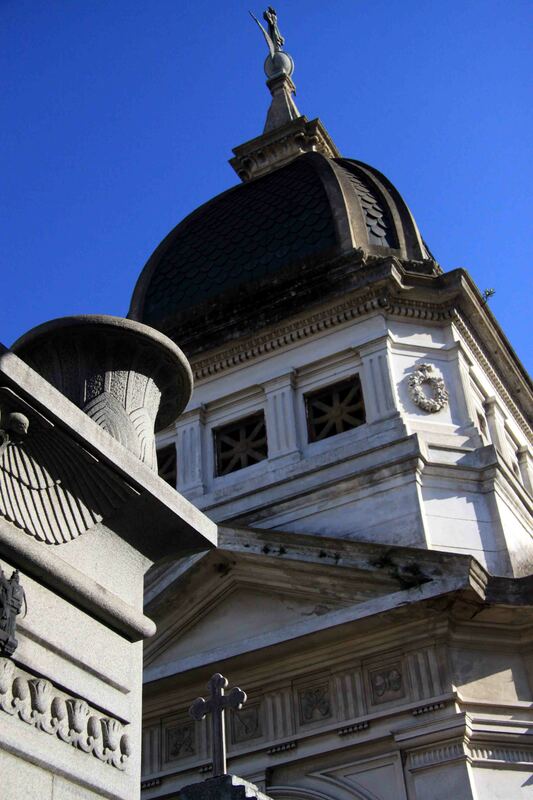 Of late, the headlines would have you believe Argentina’s economy is a tale of pitiful diminuendo, though it only takes a short visit to Buenos Aires to realise the quality of life is rather sweeter than the headlines imply. 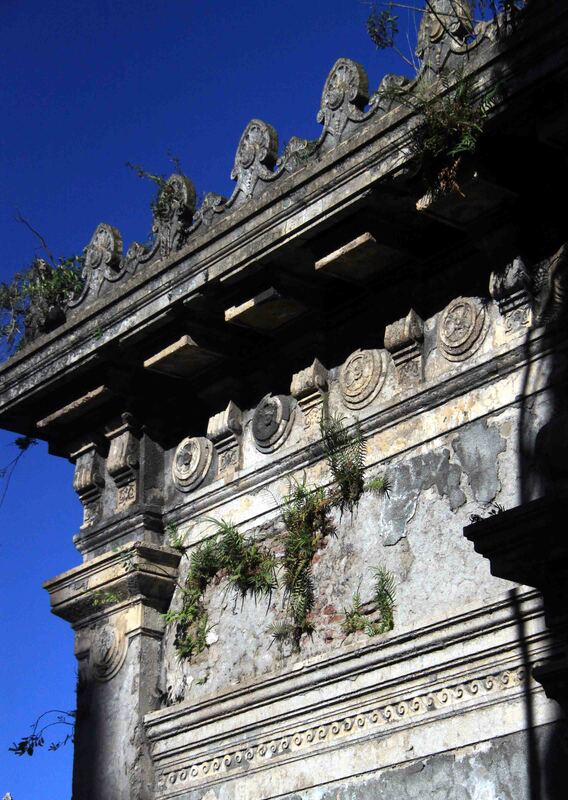 But from the late nineteenth century until well into the twentieth Argentina was one of the world’s tiger economies, as beef and grain powered what had been a backwater of the Spanish colonial empire into one of the world’s richest nations. 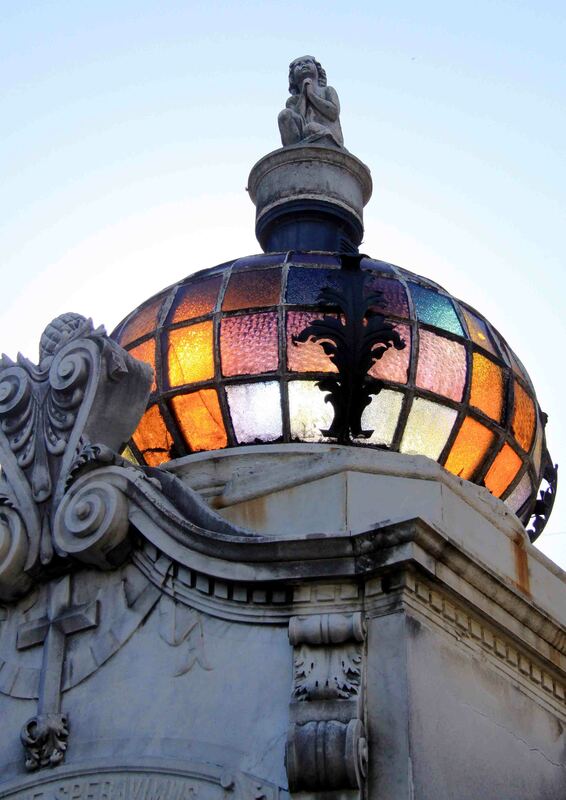 With wealth came sophistication, but a New World, hothouse sophistication which drew on the European traditions of Argentina’s immigrant-based society to create one of the world’s great cities. 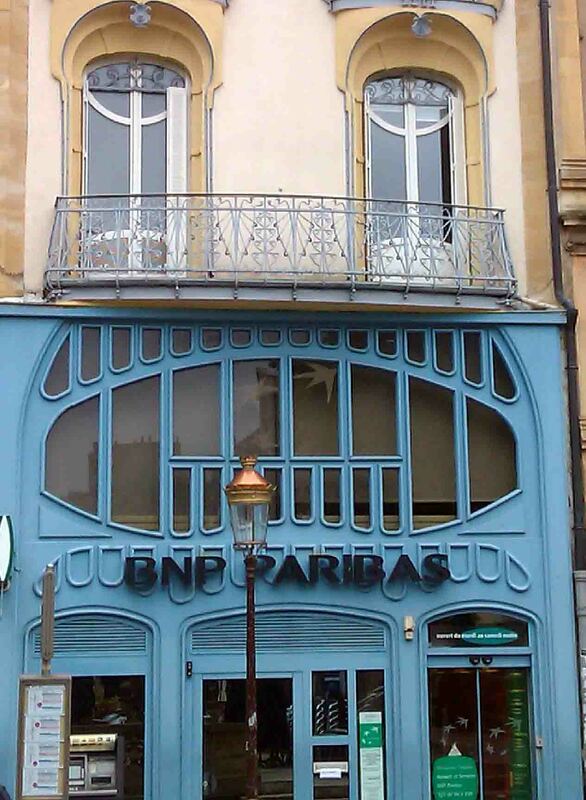 To walk the streets of Buenos Aires’ Microcentro is to rediscover Paris in the southern hemisphere, though it’s a Paris in which the buildings are taller, the domes more exaggerated, the sheer accumulation of architectural ornament that bit more luxuriant. 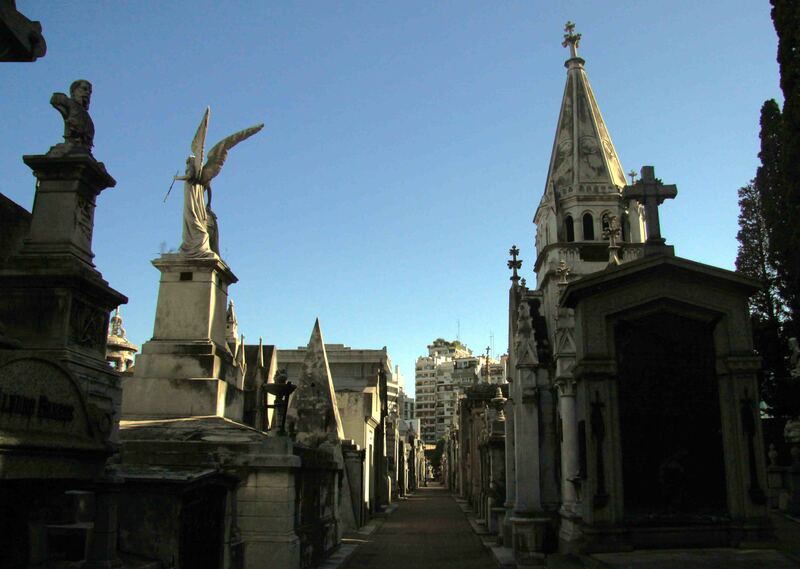 As with the city, so it is with the cemetery. 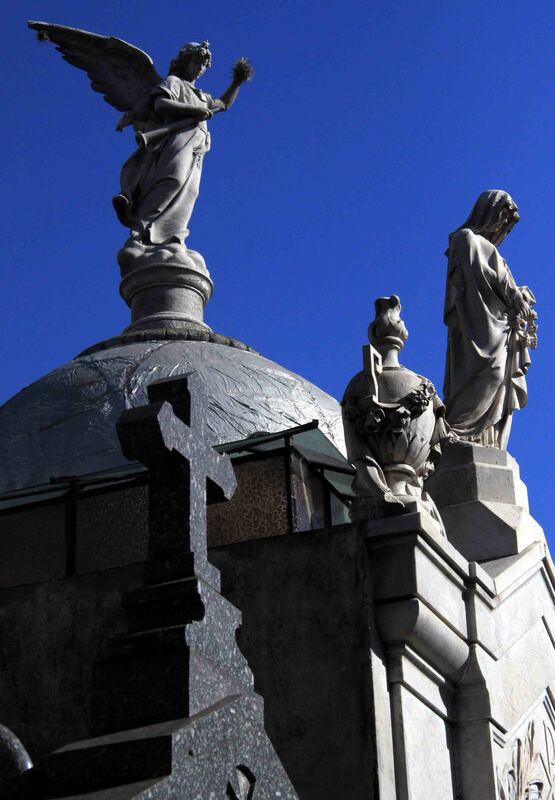 Recoleta is an open-air exhibition of European funereal fashion, but with the volume turned up. 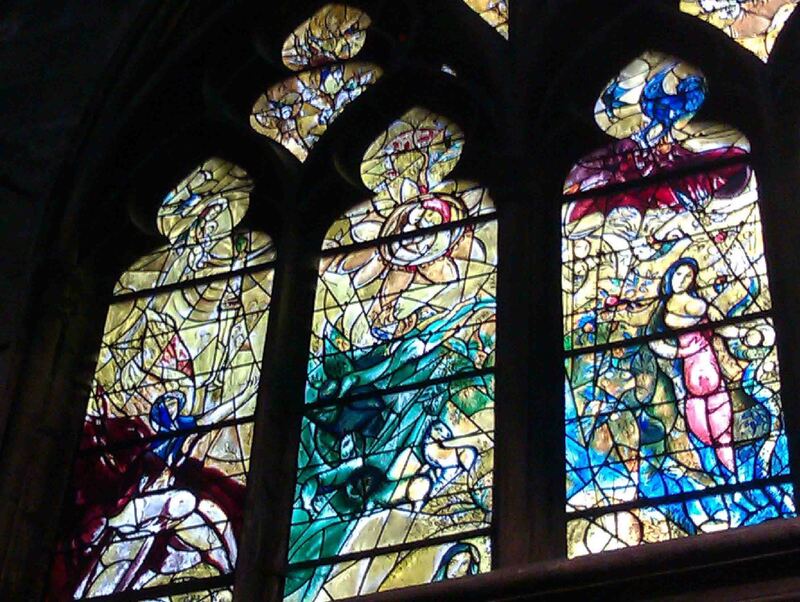 Alongside Victorian Sentimental there is Gothic Revival of cathedral-like ambition, Beaux Arts, voluptuous Art Nouveau, Art Deco and even a hint of mid-century modernism. The overall impression is not so much one of mourning as of an affluent elite expressing the confidence of its class and nation. 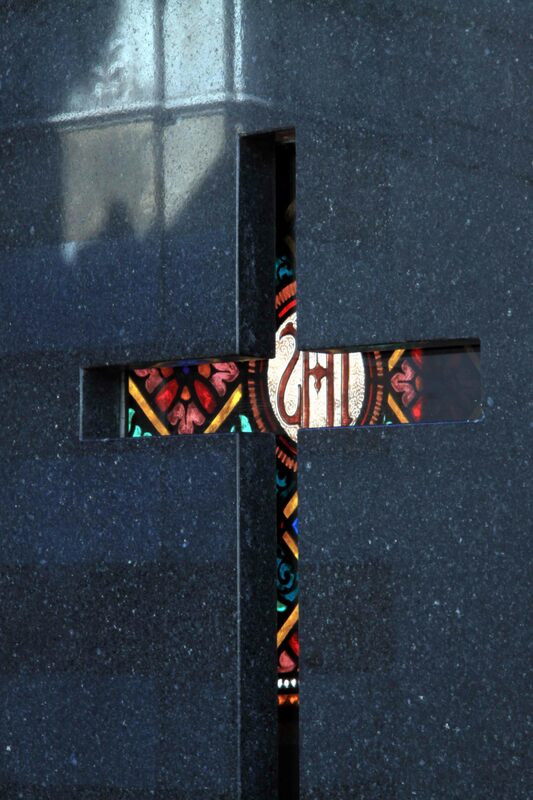 Every great cemetery needs its icon. 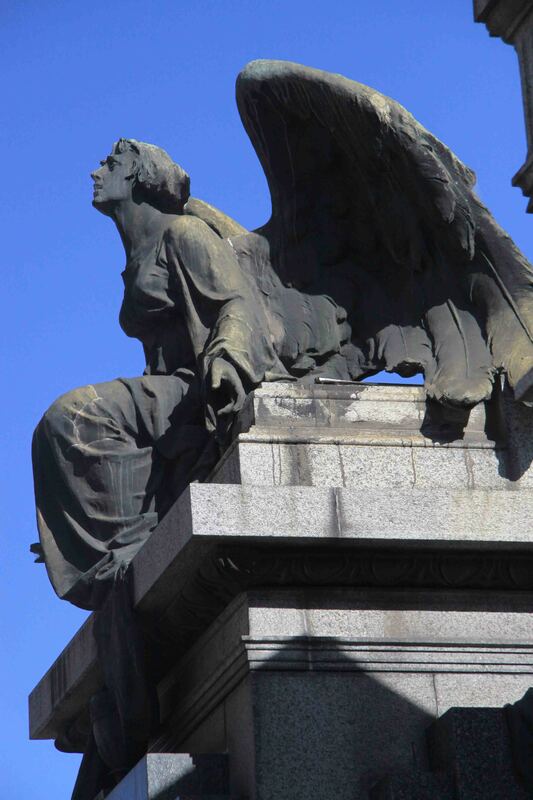 Recoleta has Eva Peron. 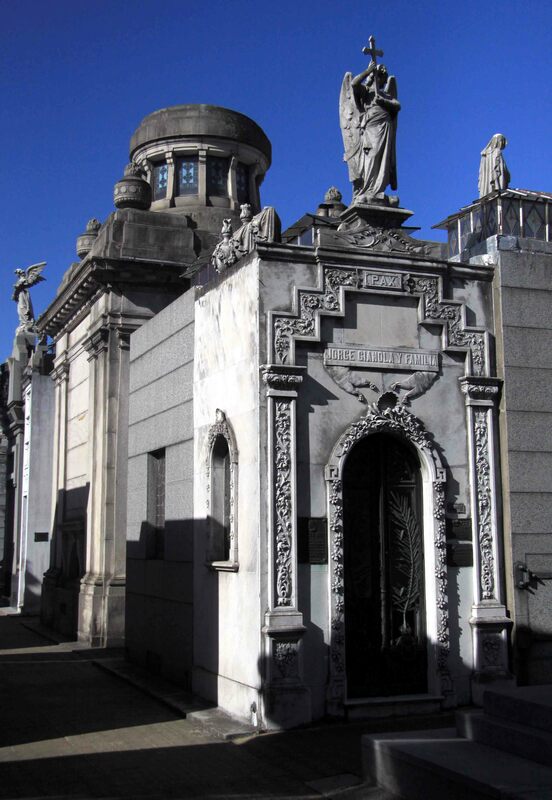 Located on a side avenue, the Duarte family tomb is elegant enough but by no means the most ostentatious in La Recoleta. 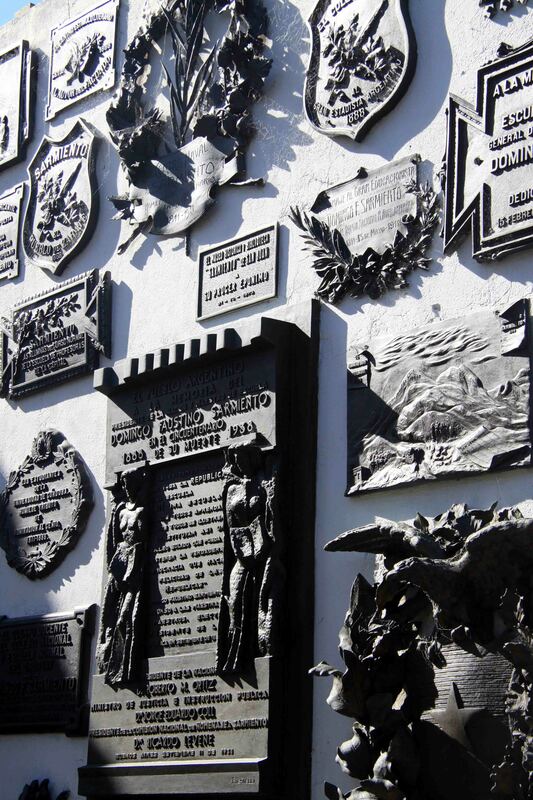 Threaded with flowers and with small devotional plaques from keepers of the Peronist flame, it is the cemetery’s major tourist attraction. 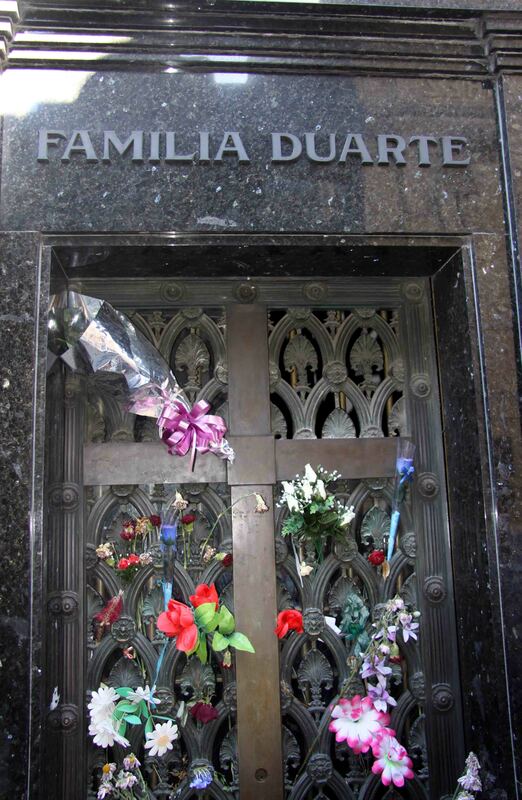 Evita’s route to her final resting place was famously macabre and tortuous. 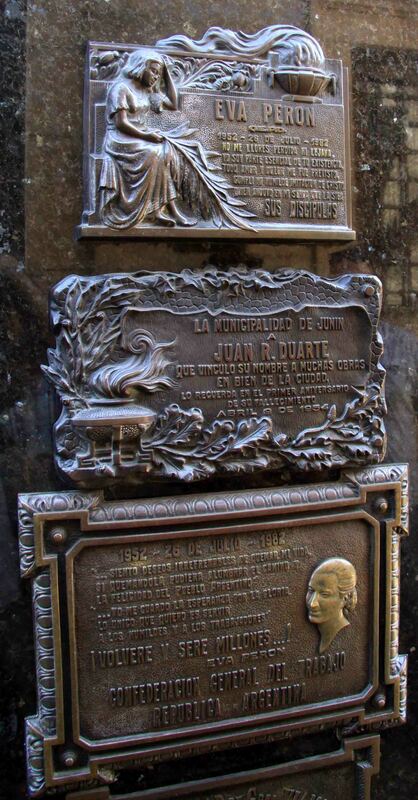 Her corpse disappeared for several years after her death, resurfacing under a false name in Milan and later accompanying her husband’s exile in Spain before finally being returned to her native Argentina in 1974. Even then, it was a further two years before she was interred in the Duarte vault. Though in life they might have bridled at the thought, in death the cream of Argentinian society are buried alongside the woman once regarded as an upstart by the nation’s elite. They’re a disparate bunch, from admirals and patriots to actors and academics, and among the illustrious families there’s quite a scattering of Anglophone names – here a Campbell, there a Davison. 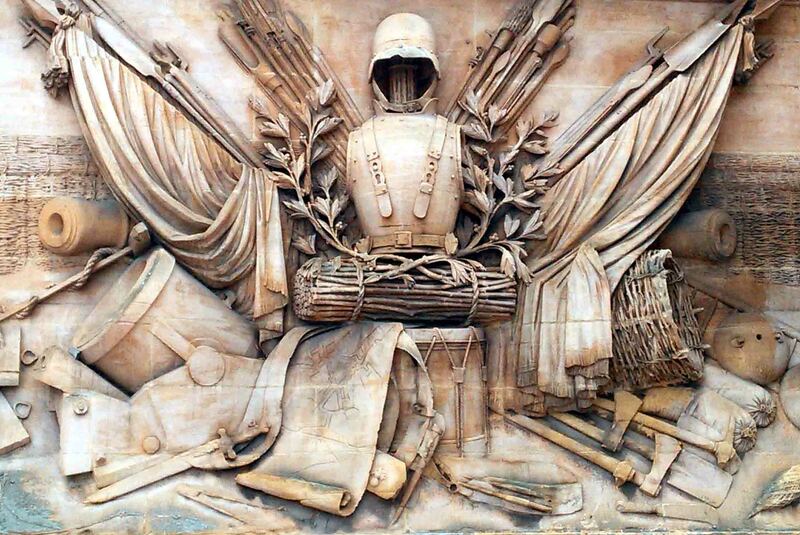 What seems for the visitor to unite them post mortem is a shared commitment to sculptural and architectural display. And in the midst of death, there’s something really rather life-affirming about that. 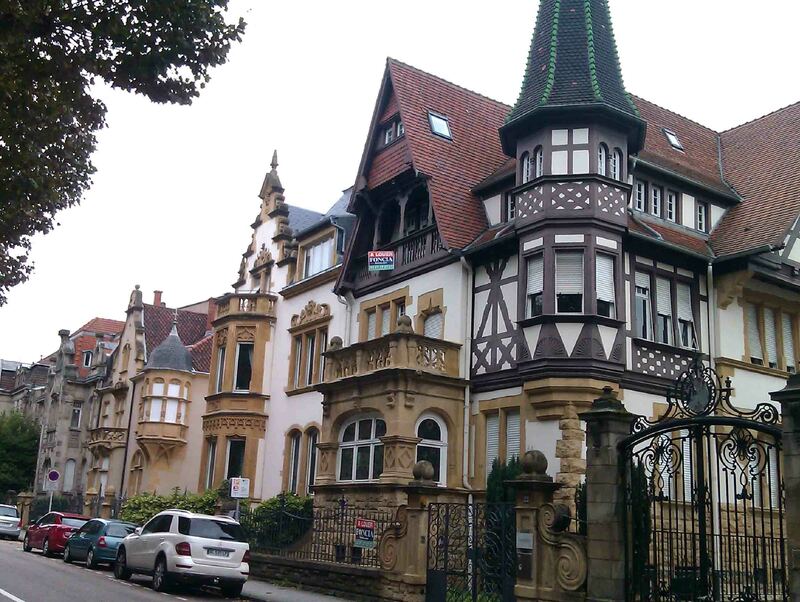 Who goes to Bad Ems these days? Not enough people, judging by the softly melancholy feel of the place when I visited one fine day in the early spring of this year. 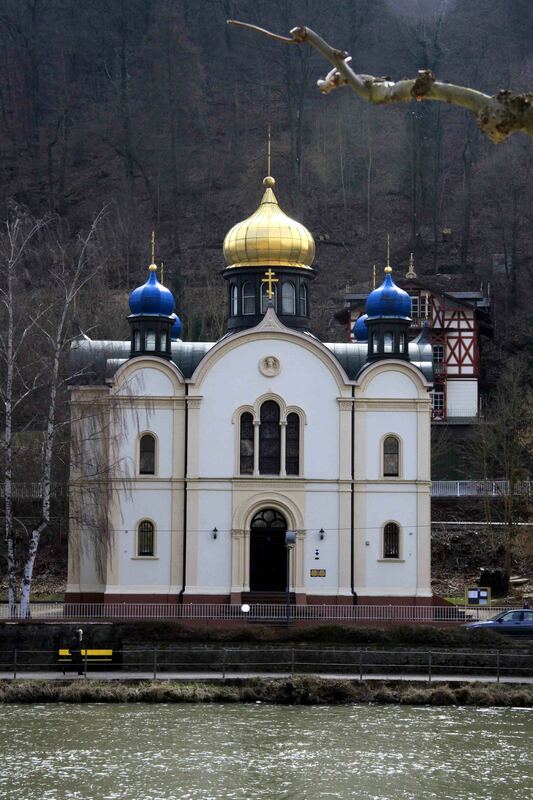 The little western German spa sits in the deep, improbably picturesque valley of the River Lahn, which is one of Germany’s prettiest. 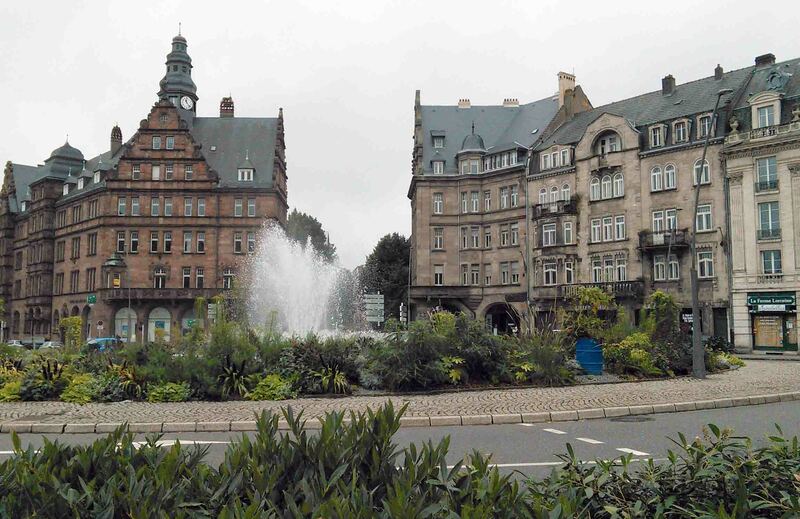 Its lovely setting aside, it has its share of historicist architecture and a fine Café-Konditorei, Maxeiner; the provision of good quality coffee and cake is as essential to the smooth functioning of a German spa as healing waters. It’s by no means the most dourly medicinal of the German spas I have visited: step forward Bad Reichenhall for that honour. 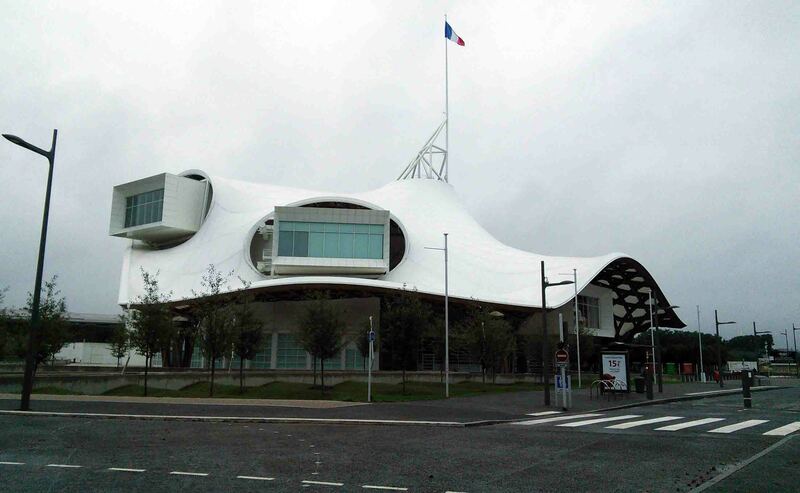 And there’s the Emser Therme, a thoroughly contemporary spa complex a short distance from the historic centre, complete with indoor and outdoor pools, saunas and those mysterious beauty treatments that men like me don’t entirely understand. 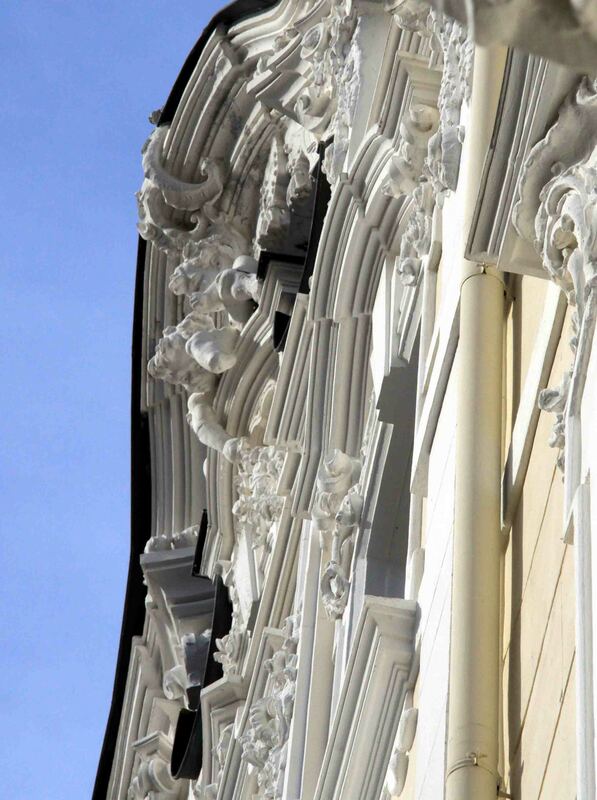 Yet for all its charm Bad Ems is in quiet decline. The population peaked in the 1970s and has been falling ever since. Unusually for a German resort, it is not immune to visible signs of decay; here and there wrought iron rusts, paint fades and varnish peels. The older of the town’s two funicular railways is slowly rotting into vandalised oblivion, a victim of the TÜV – the ferociously thorough German safety inspectorate – which decades ago declared it unsafe. 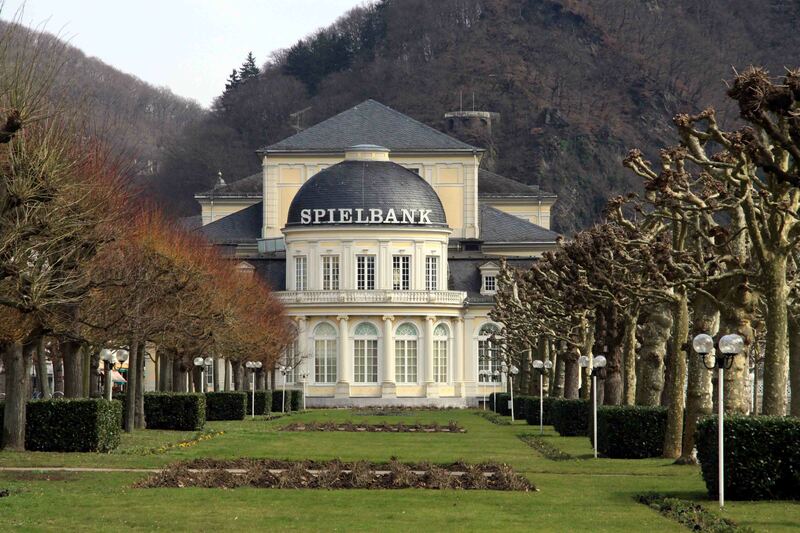 Like the echoing amphitheatre of some long-forgotten Olympics, Bad Ems has the air of a place from which events have long since moved on. And that, of course, is more or less the truth of the matter. There was a time when anyone who was anyone came here to take the waters. 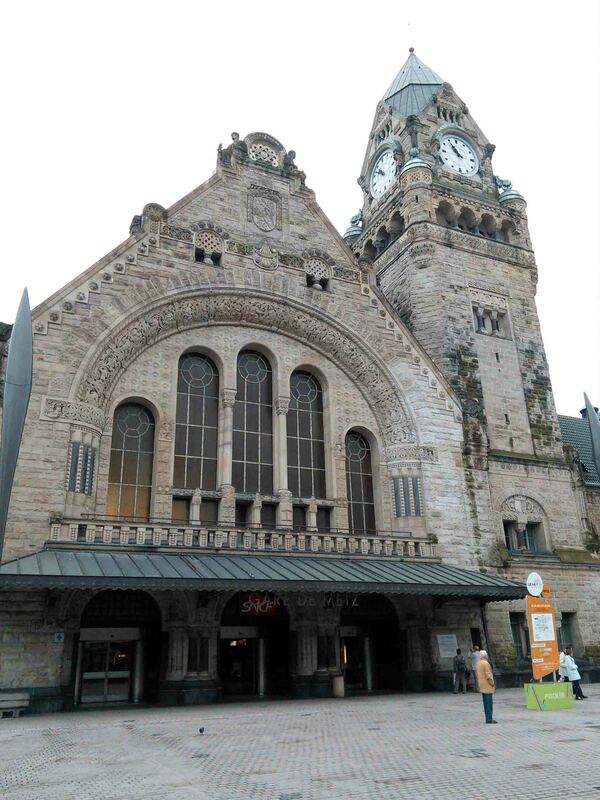 There’s a plaque to Jacques Offenbach, the operetta composer who was born Prussian and died French; Wagner was here and so was Rimsky-Korsakov. Goethe stopped by, but he was an obsessive traveller and there are reminders of him almost everywhere in central Europe, so that rates as no particular distinction. Dostoevsky was here too, perhaps to fuel his gambling addiction at the Spielbank. 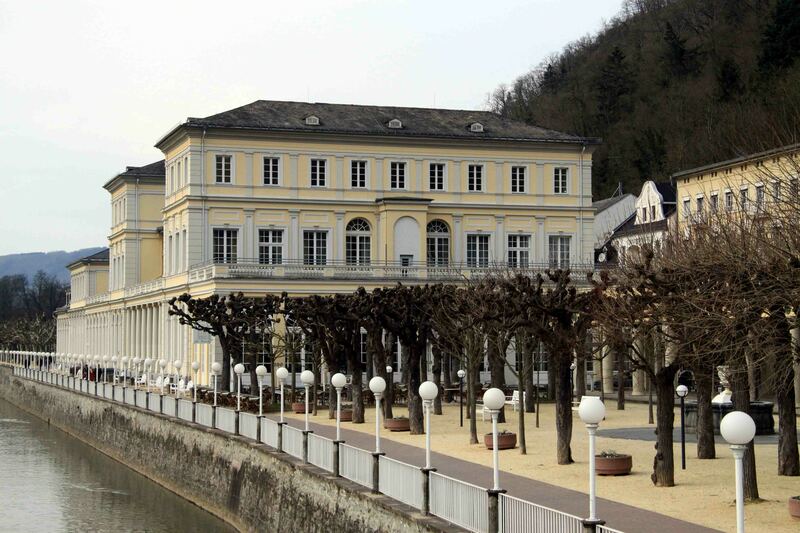 Jenny Lind and Gogol, Victor Hugo and Eugène Delacroix all added to the cosmopolitan, artistic flair of Bad Ems in its nineteenth century heyday. 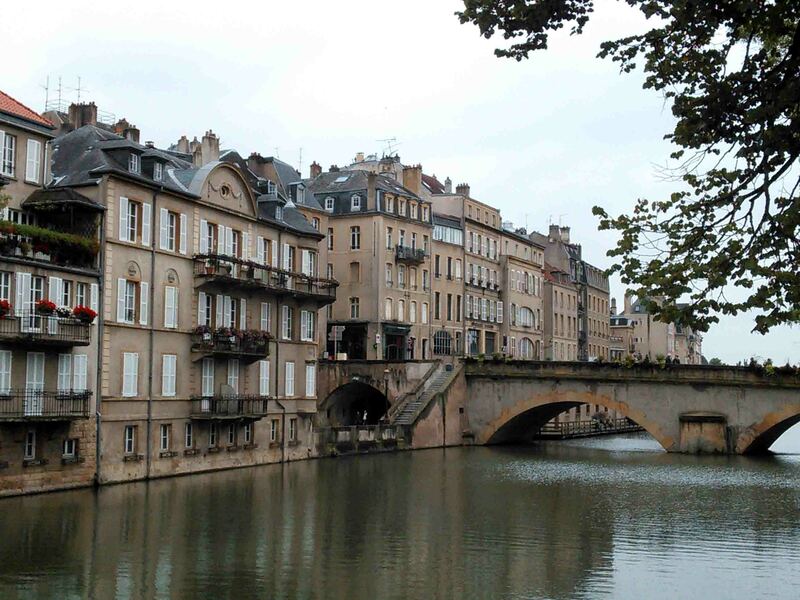 The architecture is as confidently international as the guest book: there’s an Orthodox church on the riverfront with a Schloss Balmoral nearby; pre-First World War facades along the main drag confidently identify themselves as Windsor House and Zur Petersburg. 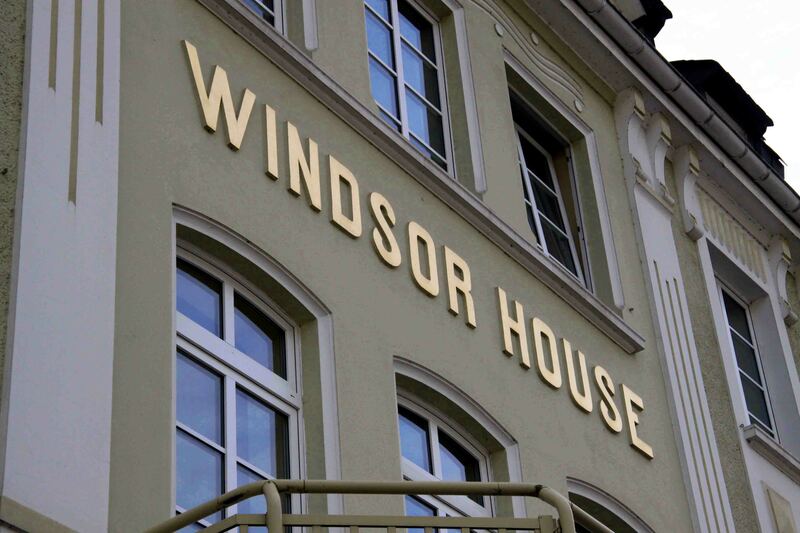 These royal names are not just the usual hoteliers’ snobby bombast. 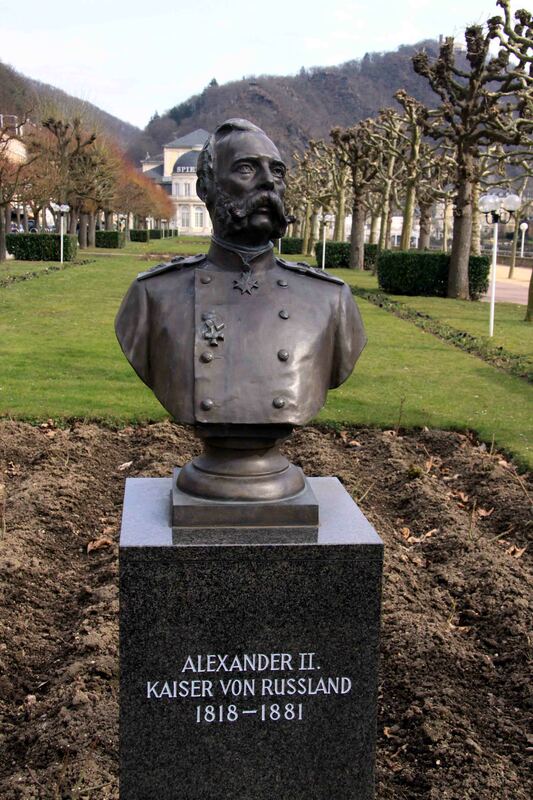 The Russian Tsar Alexander II – a nephew of Prussian King and later German Emperor Wilhelm I – visited regularly between 1838 and 1876. 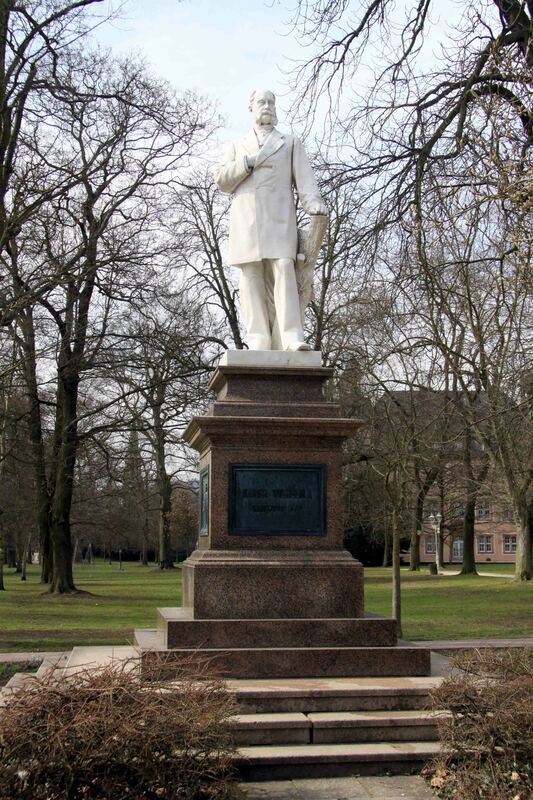 Something about the late spring of 1876 disagreed with him because it was while taking the kur in Bad Ems that Alexander issued the Ems Ukase, a proclamation which banned the use of Ukrainian in literature or live performance. 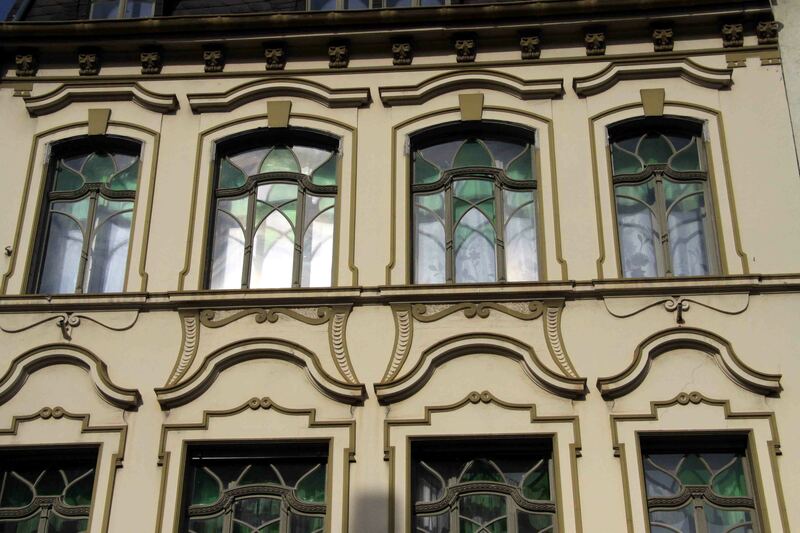 But Bad Ems is, of course, better known for another official communique, the Ems Telegram. 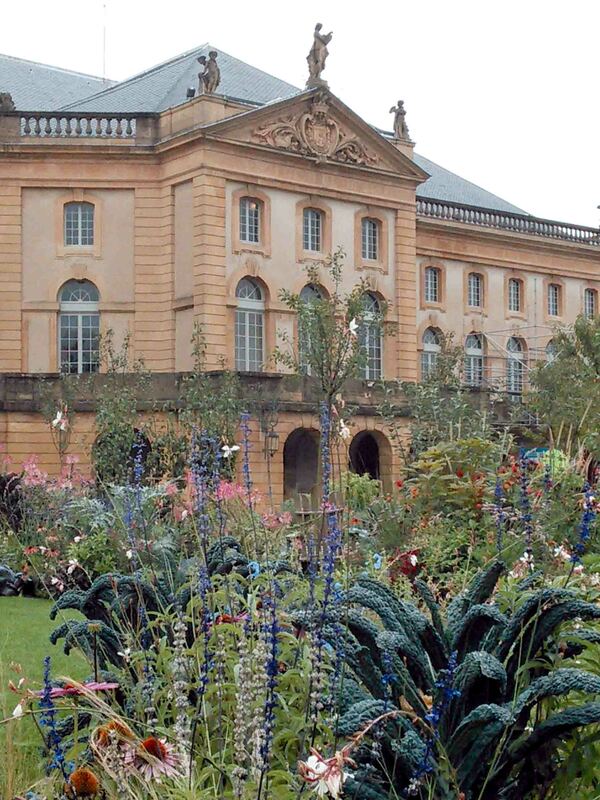 On 13 July 1870 Alexander’s uncle was waylaid by the French ambassador, Count Benedetti, while taking his morning constitutional in the Kurpark. 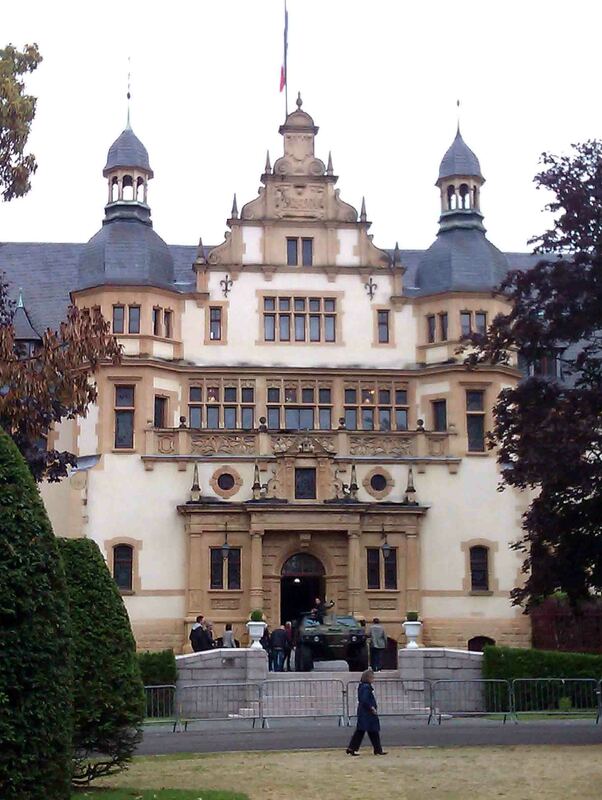 The ambassador sought assurances that no Hohenzollern would ever again be a candidate for the Spanish throne; the Prussian king politely declined to give any such assurance and sent a telegram to his Chancellor, Otto von Bismarck, giving an account of the discussion. Calculating that if war with France were to happen now was as good a time as any, Bismarck released a carefully-edited version of the message, which gave the impression Wilhelm had crudely rebuffed the ambassador. It had the desired effect. When newspaper reports were published in France the next day – Bastille Day – public opinion was outraged. France declared war on Prussia five days later and was defeated convincingly within the year. 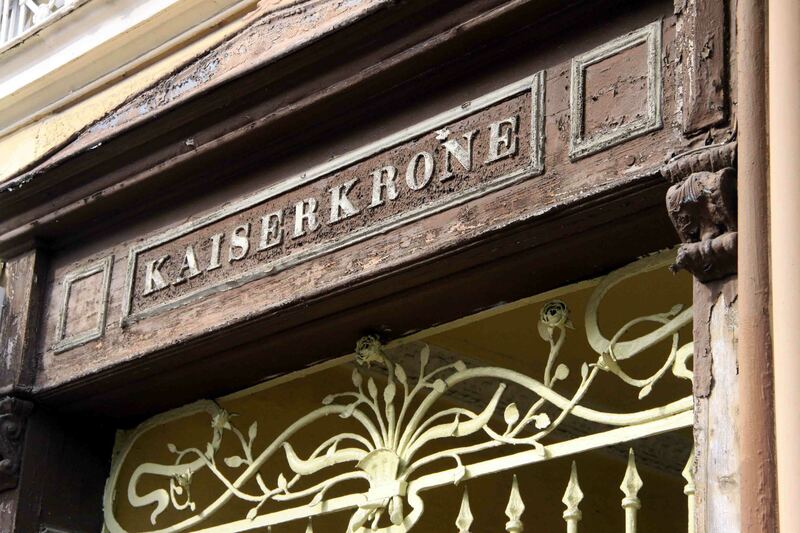 If the circumstances and setting of it all nowadays have an air of comic-opera absurdity about them, the consequences were serious enough for France, with a mighty, newly-unified German Empire for a neighbour and control of Alsace and much of Lorraine passing to that eastern enemy. But more about that in my next post. 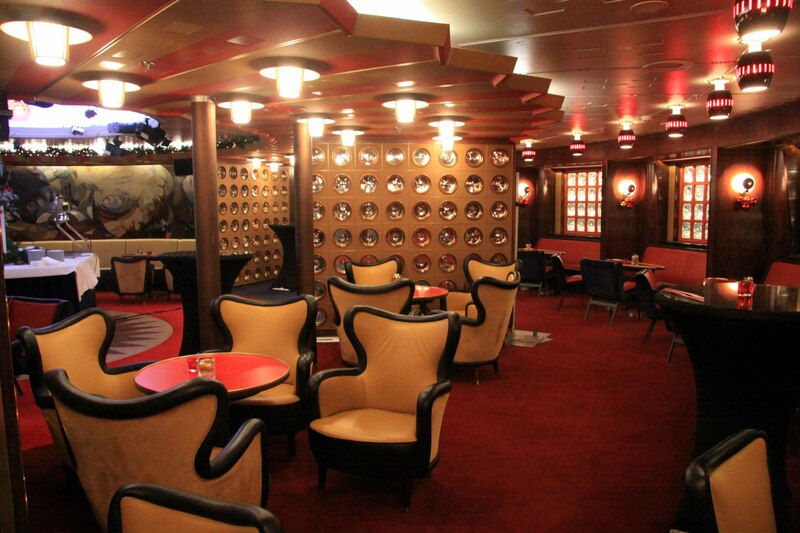 All aboard for a nostalgic voyage aboard one of the last surviving classic 1950s ocean liners. Click on the images to see them full size. 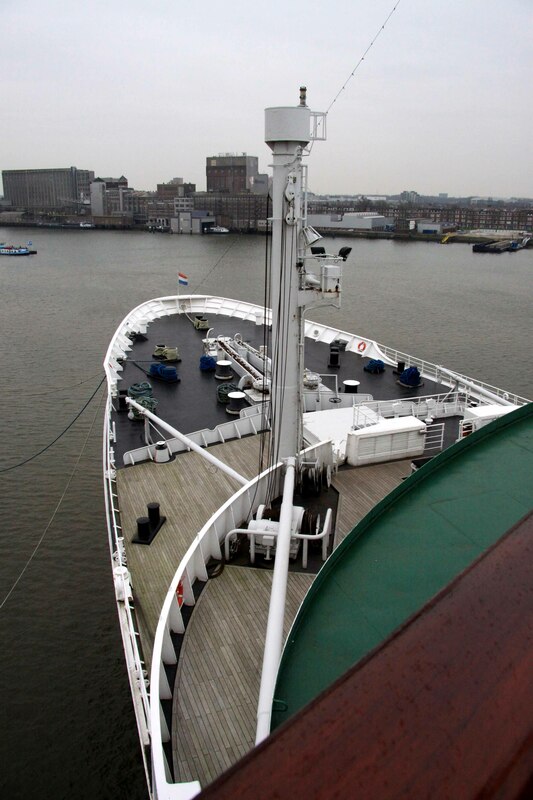 SS Rotterdam was the pride of the Dutch merchant marine when new in 1959. 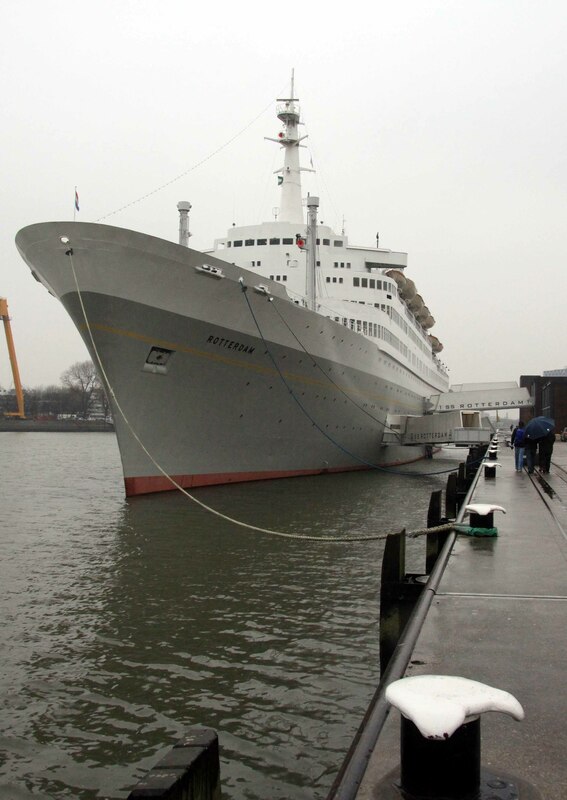 Today she’s a floating hotel and museum in her home port of Rotterdam. Not large by modern standards, she’s still an imposing sight from the quayside. …which is a work of art in its own right, consisting of not one but two interlocking staircases occupying the same stairwell: one for first class, the other for tourist. 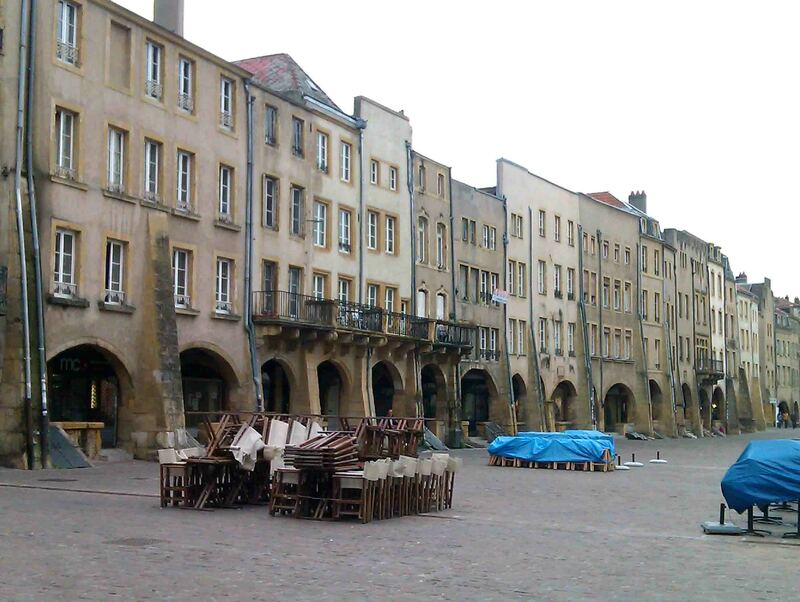 ..and this is a more general view of the same room. 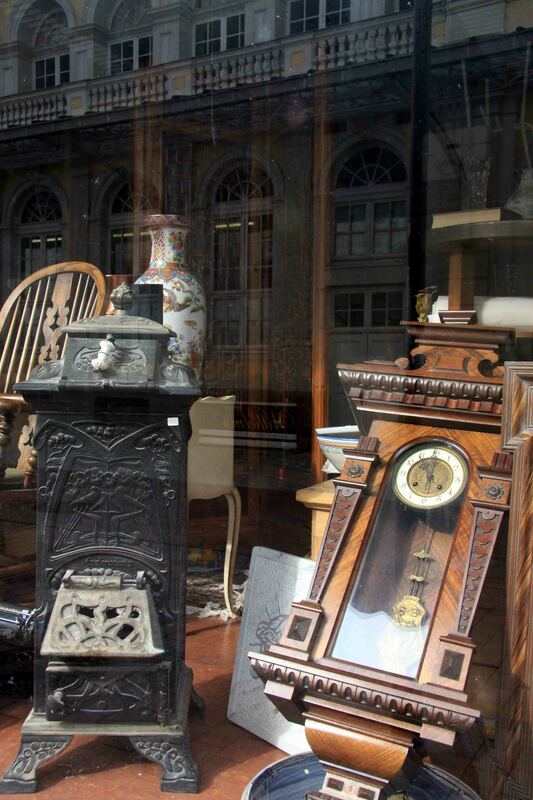 The tables with their square-shaded lamps are original; the carpet has been re-woven to the original design. 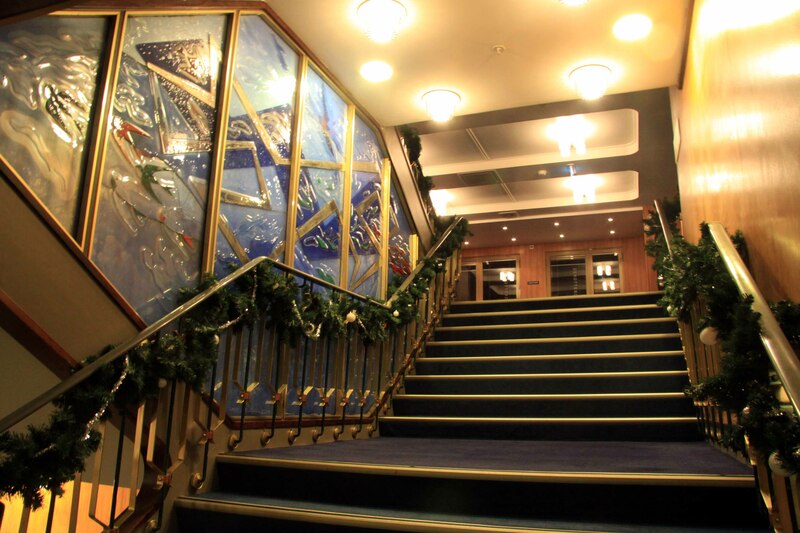 …and a dramatic, sweeping staircase that’s perfect for attention-seekers in evening dress. 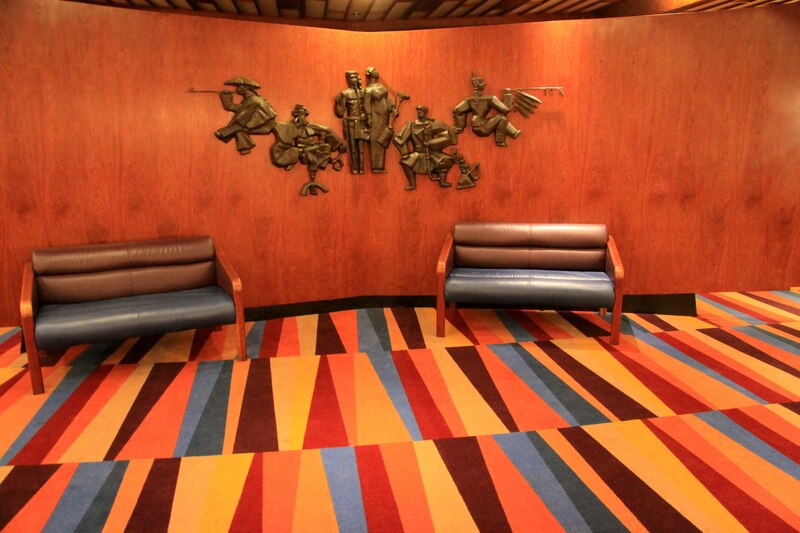 ..and this seriously covetable love seat in the smoking room lobby. 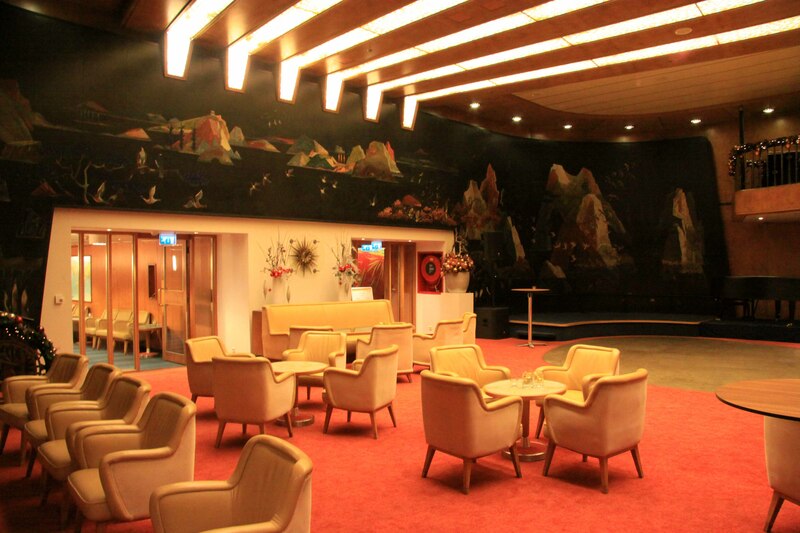 …with curved murals depicting the elements air and water. 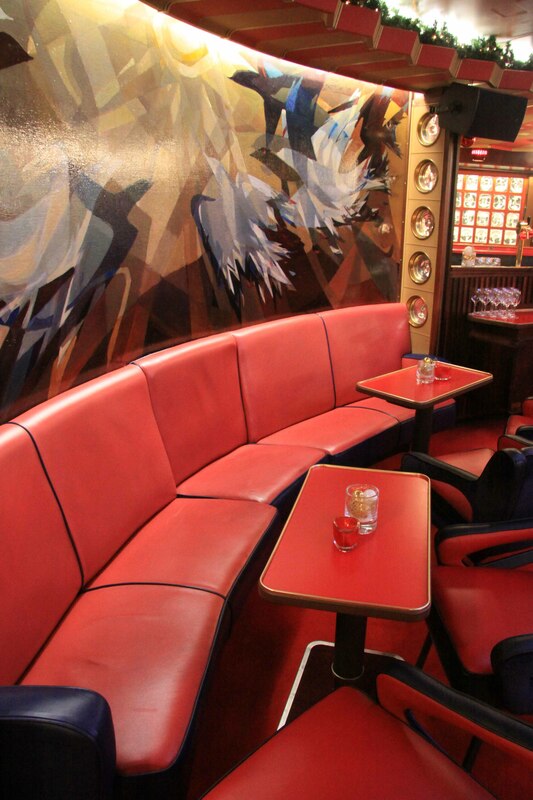 Of all the artworks on board, I most liked the red copper crustacea adorning the walls of the ship’s cocktail bar. 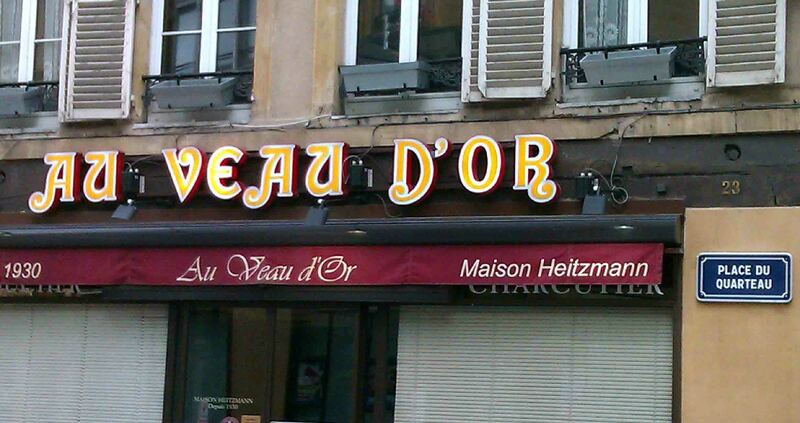 They mix a mean rusty nail here, too. …while the impressive twin dining rooms are now used for conferences. Ceramic friezes in the dining rooms are in beautiful condition. But it’s not just an ‘upstairs’ tour. You get to see behind the scenes too. 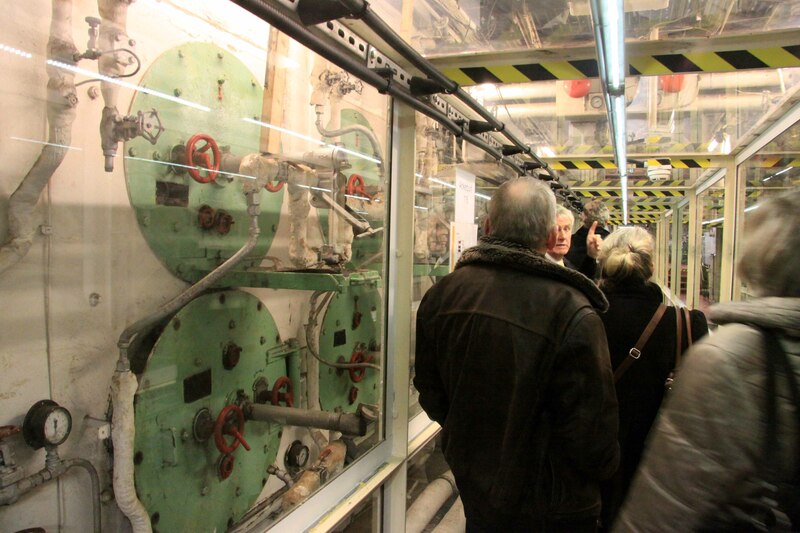 Parts of the boiler room are screened off because there is still some asbestos down here – whereas it was stripped out from the passenger spaces above. I don’t speak Dutch, but thanks to my knowledge of English and German I was able to understand quite a lot of what the tour guide was saying. Context is all! The weather was grey and bleak during my visit, but I had to visit everywhere that was accessible, including the foredeck. 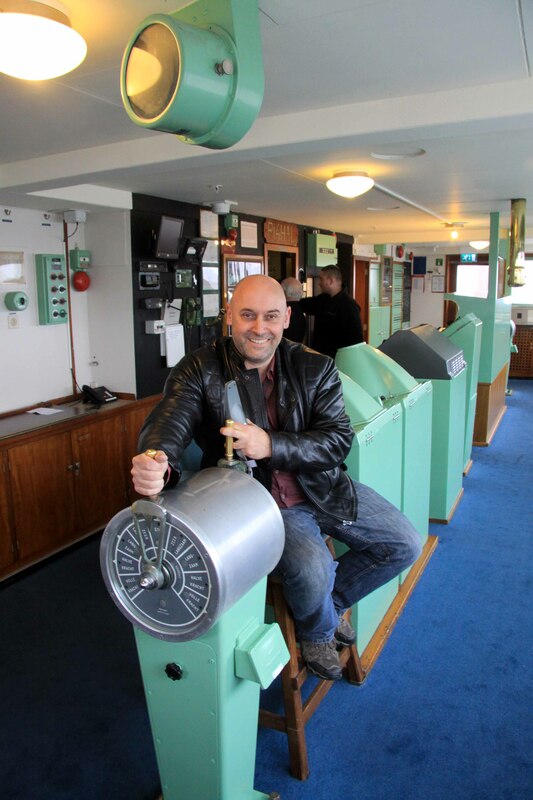 Sitting in the captain’s chair on the bridge with my mitts on the engine telegraph was a boyhood dream fulfilled. The view from the bridge wing is pretty impressive – drizzle or no drizzle. Not all the ship’s comforts were reserved for passengers. 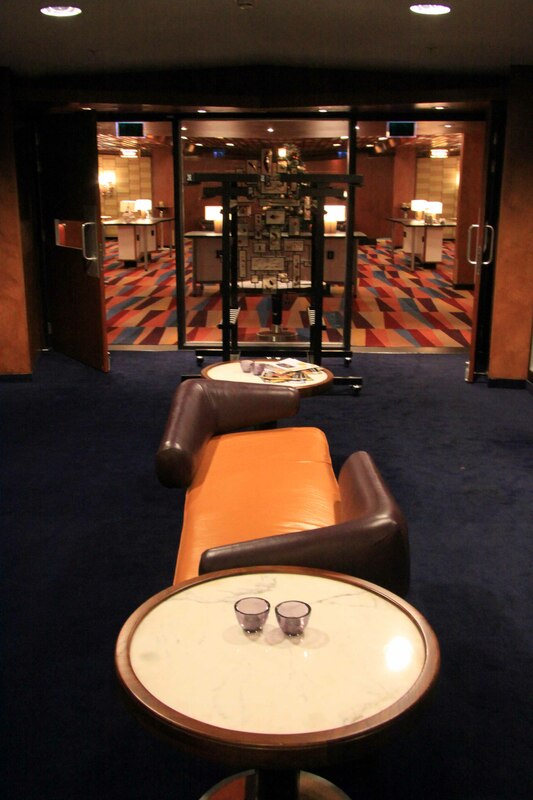 The captain’s sitting room isn’t at all bad. 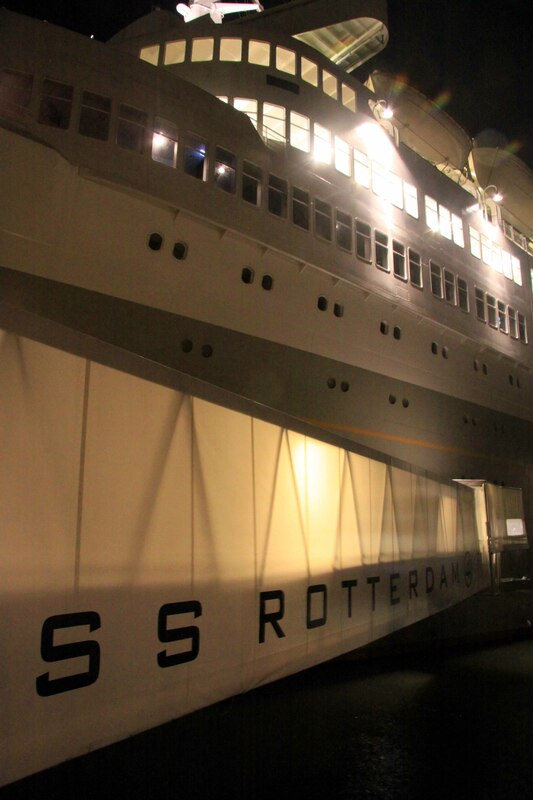 SS Rotterdam makes a rather romantic setting for a wedding. 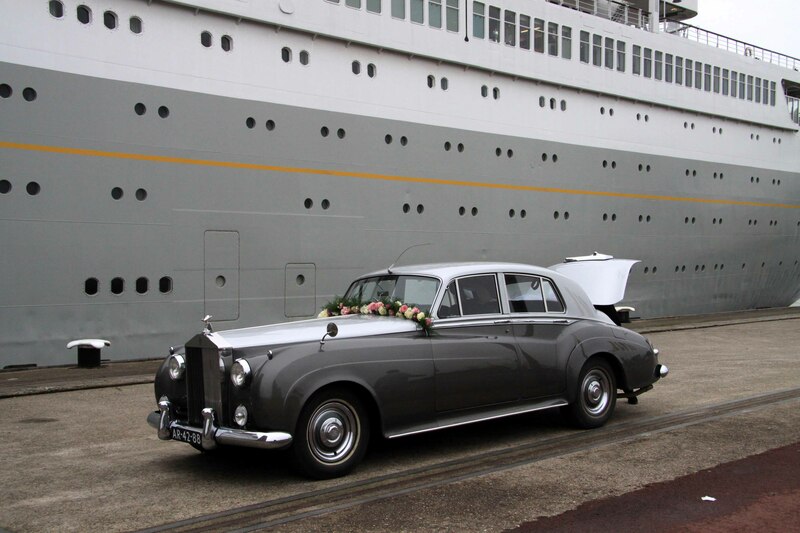 And this fifties Rolls-Royce is the perfect wedding car. Rotterdam dates from a time when ships still had curves. Even close up, her hull is so immaculate you’d never know she was built more than fifty years ago. Some nightspots suit jazz; others were born to boogie. In the Ambassador’s Lounge it has to be mambo. Only music as brassy and unmistakably fifties as the club itself could hope to match its Technicolor boldness: here, cherry pink and apple blossom white meet ocean blue and hot tomato red. In truth, I had a particular tune in mind. There’s something about the carefree musicality and Cuban-American sassiness of Xavier Cugat’s Siboney that’s perfect for this luxurious fifties time capsule. To enjoy it, however, you must travel to Rotterdam, not Havana. To the city’s floating namesake: SS Rotterdam. The fifth (and not the last) Dutch liner to bear the name, she is without question the most illustrious. Built in the late fifties just as the transatlantic trade’s post-war boom began to falter in the face of competition from the Boeing 707, she was dubbed tomorrow’s ship, today. No-one could then have imagined how much truth there was in that brave claim, for in the decades that followed the flexibility of her layout, her engines-aft configuration and retro-futuristic silhouette became the blueprint for a new generation of cruise ships. In one breathtakingly sleek package she was one of the last great North Atlantic liners and one of the first truly convincing cruise ships. At 38,000 tons and 750ft in length, the Rotterdam is not large by the standards of today’s Miami-based behemoths, but in 1959 she was among the larger liners plying the Europe to New York route, and the largest ever built in Holland. 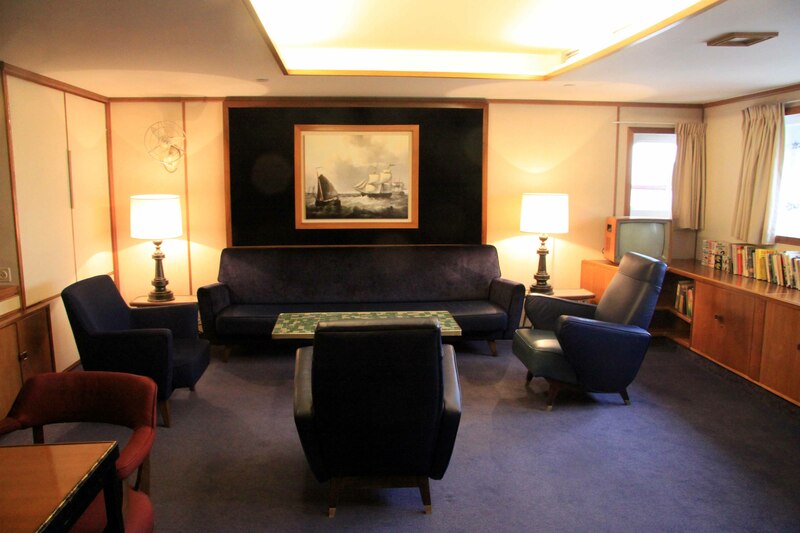 With size came dignity: as the flagship of the Holland-America line, she was – like Cunard’s Queens – a true ship of state, the flagship of the Dutch merchant marine and a vessel for national prestige as much as a means of transport from the old world to the new. 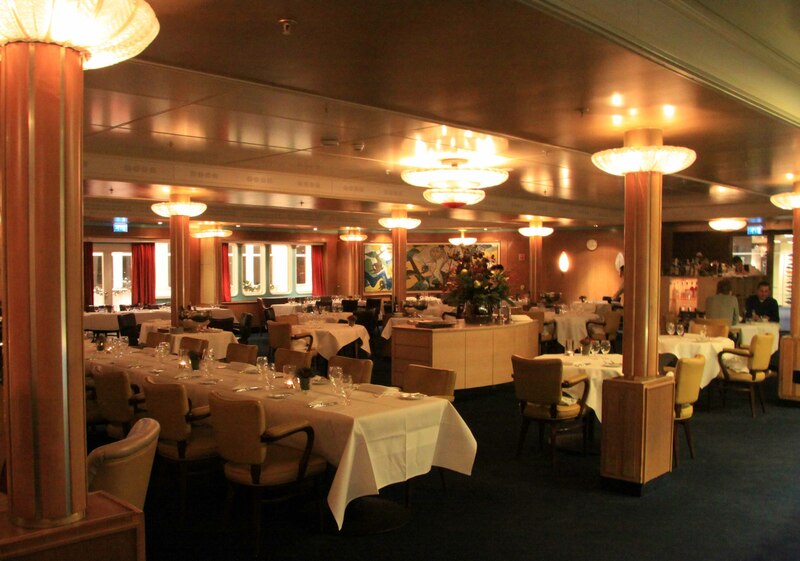 She was launched by Queen Juliana; her elegant Ritz Carlton ballroom hosted Prince Rainier and Princess Grace of Monaco. Frank Sinatra performed in her theatre. 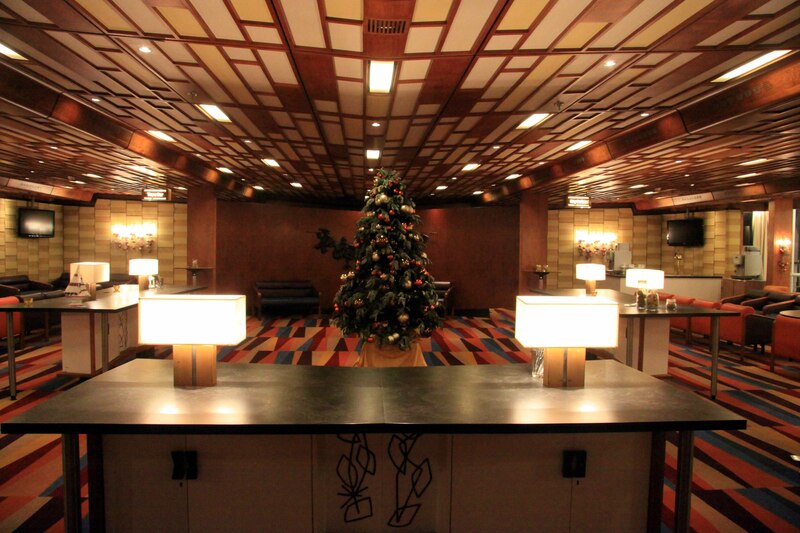 That’s the kind of glamour today’s Cancun-bound resort ships have a hard time living up to. 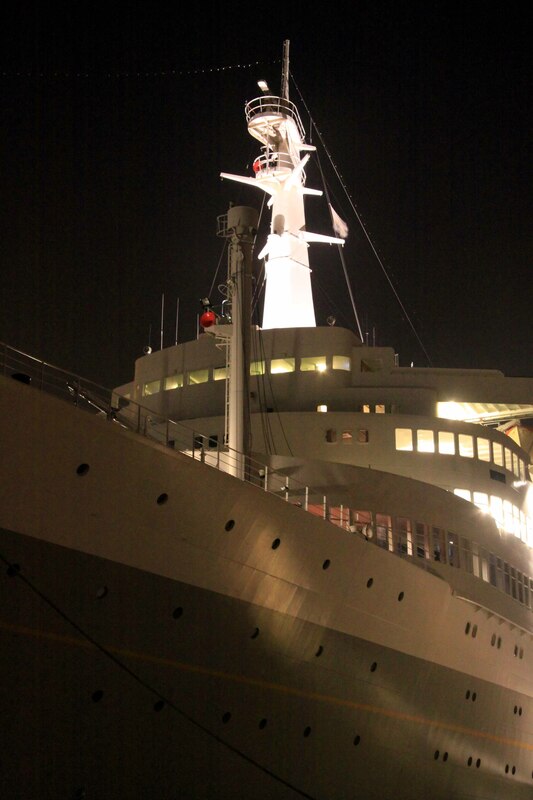 She has the looks to match – looks that subsequent generations of passenger ships have gradually lost. In the first two decades after the Second World War naval architecture reached an apogee of grace, as streamlined modernity met the minimalizing impact of improved technology on ships’ silhouettes. Funnels were reduced in number and the old-fashioned clutter of ventilators and masts was swept away to be replaced by open-air swimming pools, terraced open spaces and clean lines. 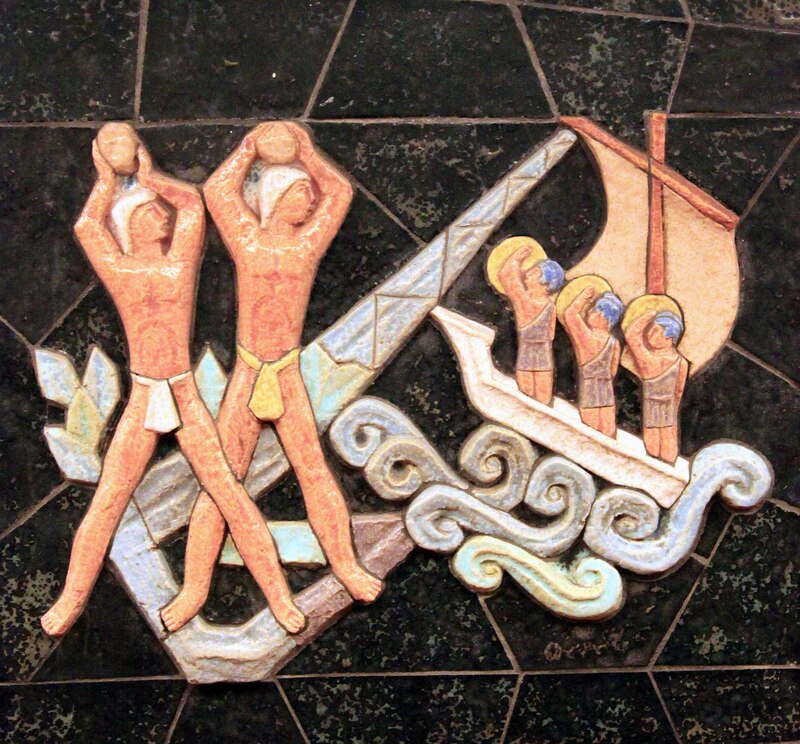 Among the first examples of this new style were Italian ships like the ill-fated Andrea Doria of 1951; among the last was the QE2 of 1968. The Rotterdam arrived midway through this golden age, and her elegance of line – from curved stem to cruiser stern – disguises her considerable size. She has the look of a yacht about her. After an illustrious career, she managed somehow to avoid a one-way trip to the beach at Alang in India, where old ships go to die. 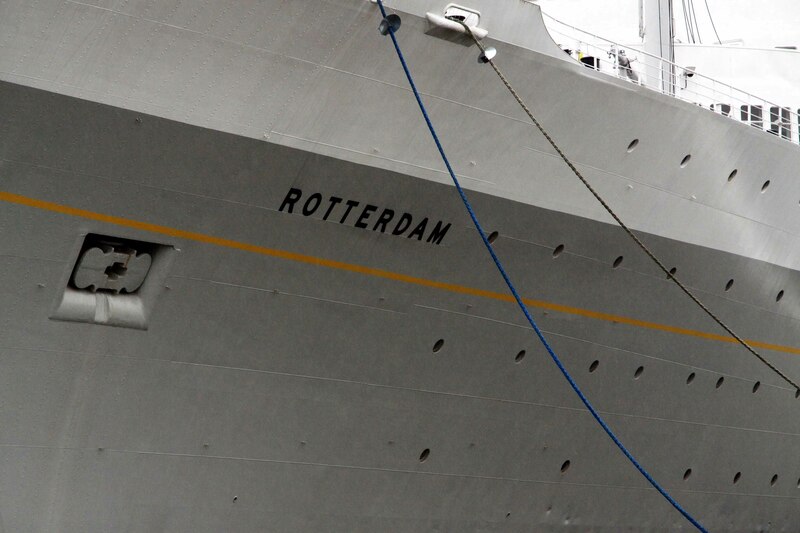 Rotterdam returned to a tumultuous welcome in her home port in 2008. She was then stripped to the bare metal for a thoroughgoing restoration that was complicated by the liberal quantities of asbestos used in her construction. 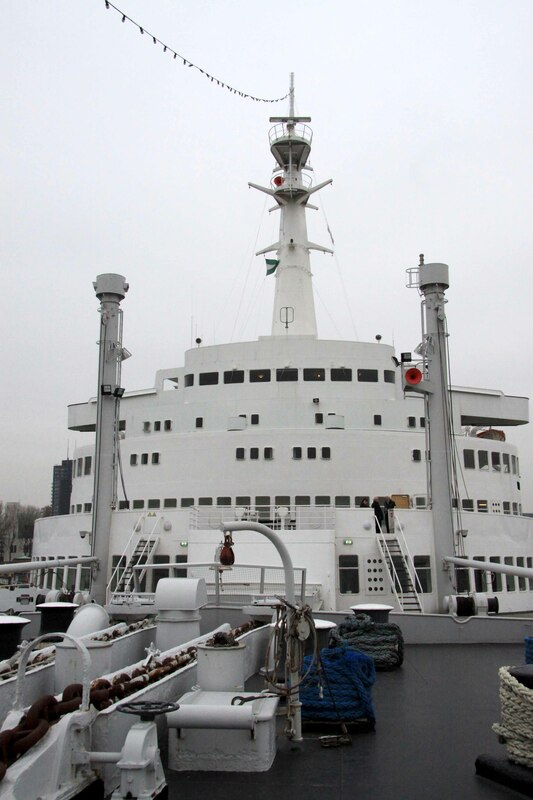 The Rotterdam reopened as a static hotel ship and museum in 2010, but even then all was not plain sailing: the cost of restoring her overwhelmed her rescuers and for a time it was rumoured that she might depart for an uncertain future in Oman. Happily, it didn’t come to that. New owners were found, and I spent a bleak midwinter night on board in the dying days of 2012. A Christmas tree and a flaming brazier cheered the blustery quayside; a liveried footman warmed the welcome aboard. 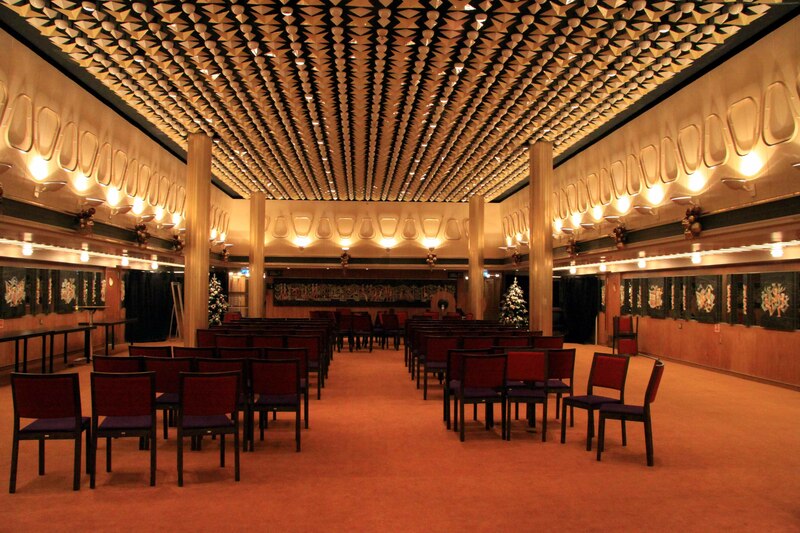 Beautiful as she is on the outside, it’s Rotterdam’s interiors that are the most evocative thing about her. 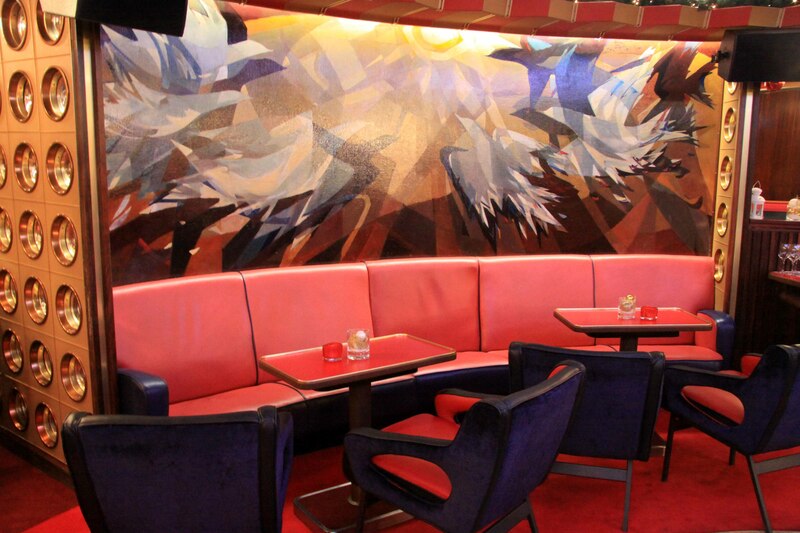 The ship’s hot 1950s colours made a delightful antidote to the grey December drizzle and a refreshing change from the timid whites and beiges of contemporary good taste. At once grand and intimate, she’s big enough to have a 600-seat theatre yet small enough to retain inside the yacht-like ambience her elegant hull suggests. 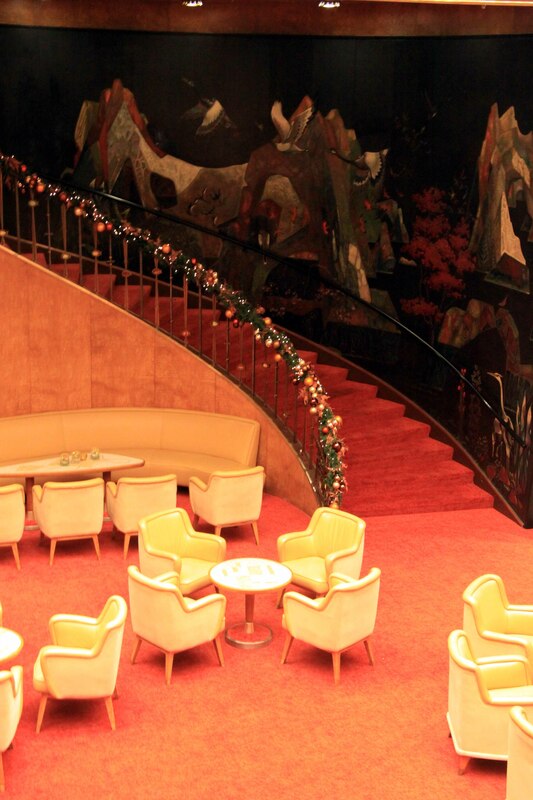 An Atlantic crossing to or from New York in her late fifties heyday must have felt less like a stay in a grand hotel than a glamorous four-day house party. On the North Atlantic in the fifties the classes were still divided, but on Rotterdam the division between the VIPs in first class and the tourists in second was a discreet one, removed entirely when she cruised. What makes this lovely ocean liner so special is not just her once-revolutionary design, but that she has survived in such original condition. She is as perfect a period piece as a pink Cadillac, a Douglas Sirk movie or the sexual chemistry between Doris Day and Rock Hudson. 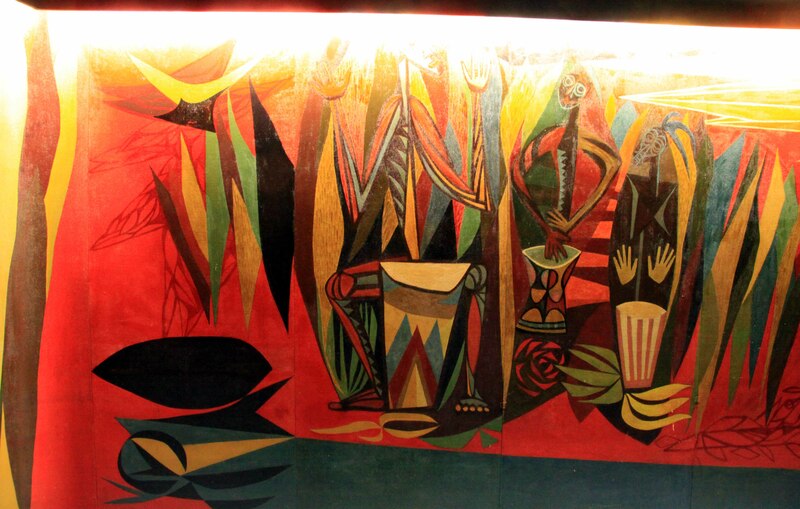 This is the fifties as experienced by affluent Americans, and there are luxurious touches everywhere: deep, cossetting armchairs so heavy it’s a struggle to move them, a bronze dance floor patterned in imitation of the sea bed, mosaic table tops fashioned from Murano glass and – above all – wonderful modern art, from sculpture to painting and tapestry. Though the crew-to-passenger ratio is not at all what it was in her North Atlantic heyday, she makes a surprisingly successful hotel. 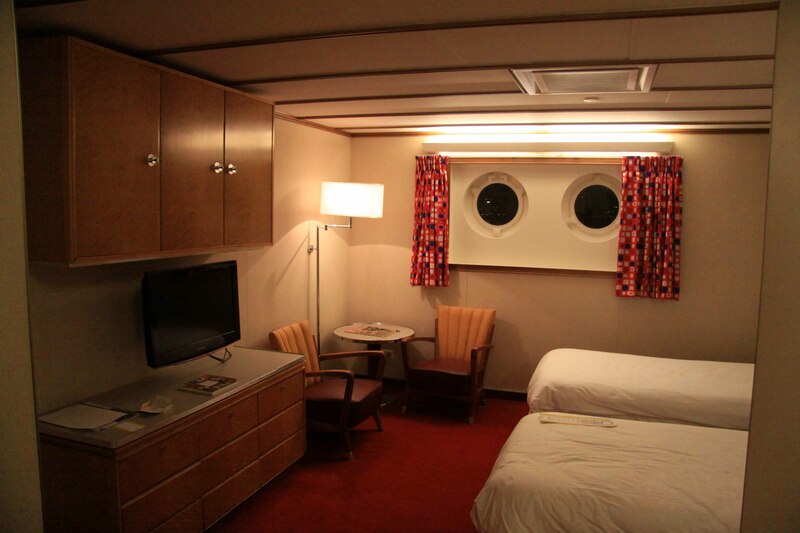 I had an immaculate, spacious cabin in the former first class section of the ship. 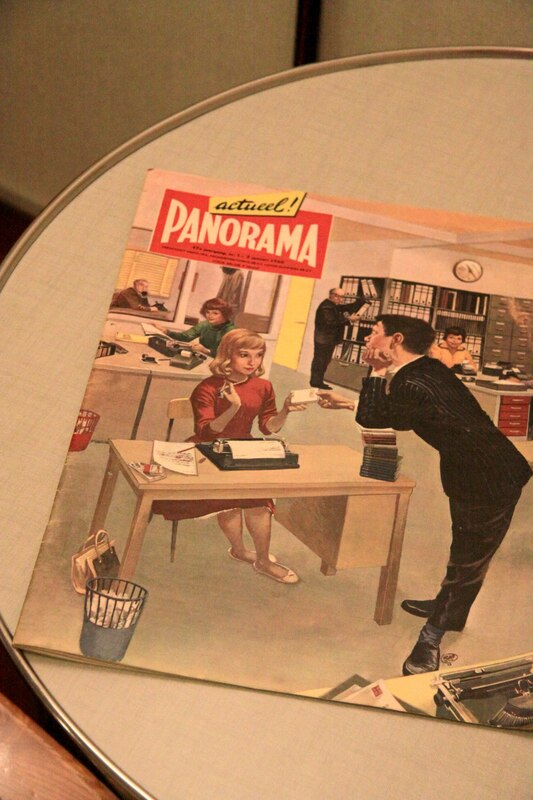 Its décor was a nice mix of boutique hotel modern and fifties retro, with original, custom-built cabinets and a fifties magazine on the coffee table. 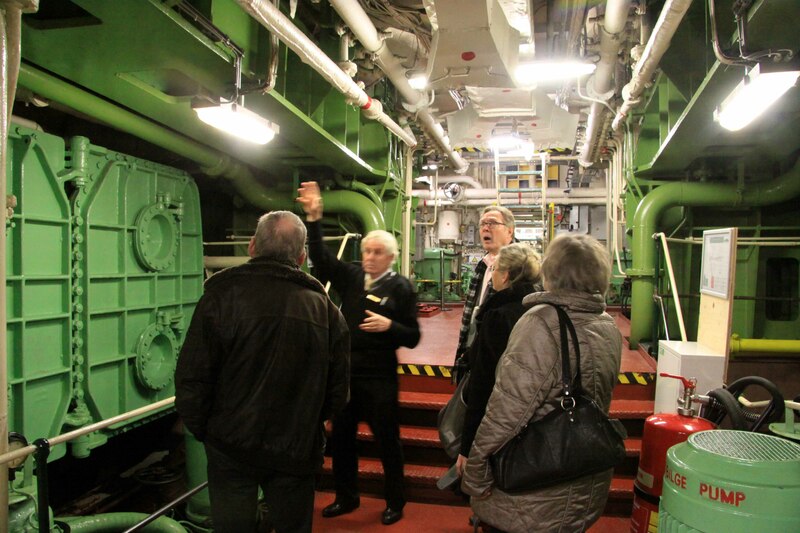 By day you can tour the ship from bridge to engine room with an audioguide, though for the latter you have to join a group. Former crew members are on hand to explain the workings of the bridge or simply to tell anecdotes of their years at sea. But daytime wanderings can be thwarted by the conferences and wedding receptions that ensure the ship’s public rooms earn their keep. There are no such bars to exploration for an overnight guest, and I seized my chance to see the magnificent smoking room, Ritz-Carlton room and Ambassador’s Lounge in complete solitude, with only my camera for company. 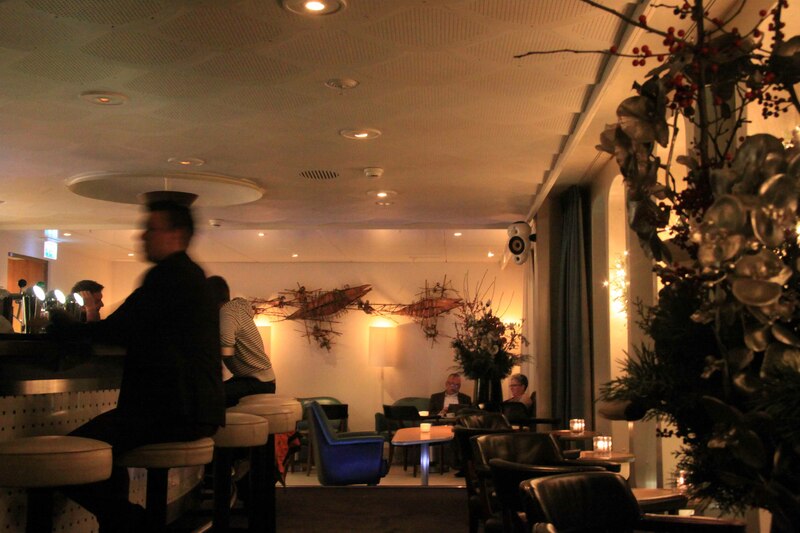 After dinner I nursed a cocktail beneath the fish-scale ceiling of the ocean-themed bar, coveting Aart van de Ijssel’s extraordinarily prickly red copper wall sculpture, which resembles nothing so much as an attenuated, cupric plateau de fruits de mer. The drink was good and strong; the music suited the setting. There was no mambo, but one by one the voices of Ella, Frank and Tony gave aural expression to the atmosphere of fifties luxe. As on any good sea voyage, there was no particular rush to do anything. So I lingered awhile, content and just a tiny bit drunk, waiting for Doris Day.